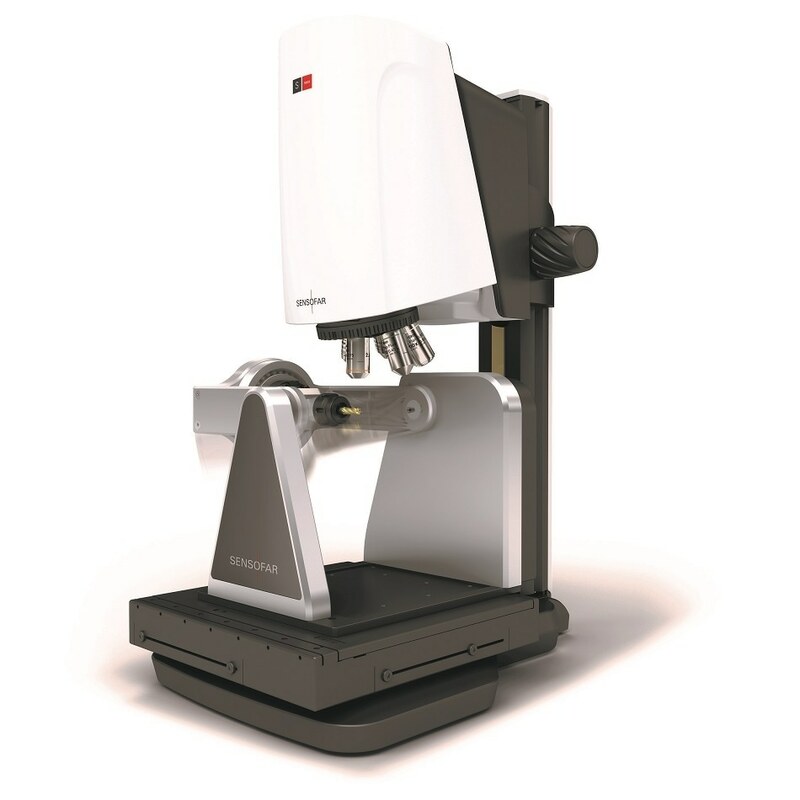 Sensofar Metrology has announced a new addition to their high-end non-contact 3D surface metrology systems, the Five Axis. The new 3D optical profiler combines a high-accuracy rotational module and a high-resolution translation platform, together with advanced inspection and analysis capabilities. This enables automated 3D surface measurements at defined positions (perspectives) that combine to create full 3D volumetric measurements – ideal for micromachining, additive manufacturing, tooling and medical technology applications. The new Five Axis also integrates several special acquisition modes designed to complement and exploit the capabilities of the motion system. Manual mode measures individual field-of-views (FOVs) with high-accuracy positioning, while Grid mode can capture individual FOVs at several different (lateral) positions. Finally, 3D mode is an automated procedure using a ‘five multiple recipe’ (5MR) that combines five-axis positions and measurement acquisition to obtain a 3D topography in the STL file format. The STL file format is supported by many 3D software analysis platforms, such as Gom, Polyworks, Kotem and Geomagic. Drawing on Sensofar’s proprietary ‘3-in-1’ sensor head technology approach, three available measurement technologies provide unequaled versatility across a broad range of scales and structures – focus variation for shape and form, interferometry for sub-nanometric roughness, and confocal for critical dimensions that require high lateral as well as vertical resolution. The new Five Axis system is thus effectively a dedicated solution for comprehensive surface characterization of a sample from different perspectives and for different application needs, including full 3D acquisition. With the acquisition controlled through Sensofar’s intuitive, user-friendly SensoSCAN interface, an additional advanced analysis module provides the necessary tools for determining form deviation from 3D CAD models, for highlighting test and wear deviations (e.g. for tooling), for reverse engineering applications, as well as measuring critical dimensions (angles, radius, contour), surface texture according ISO 25178 (form and roughness) and volume. The Five Axis system will be available for demonstration at the upcoming EMO event in Hannover, Germany (September 18-23, Hall 6 Booth E02).